Effective solutions to a global problem can seem like an impossible goal. But you have to start somewhere if you want to effect change. Citizens, communities, non-profits, corporations, and governments alike are working towards the common goal of reducing the problem of plastic waste. Local groups, such as Master Recyclers help with community efforts to reduce plastic waste, while non-profits and corporations sponsor large scale efforts such as the Ocean Cleanup plastic boom deployed to the North Pacific gyre. Governments can enact taxes such as Washington D.C.’s 5 cent per bag fee, or outright bans on plastic bags such as in Austin, TX and Seattle, WA. The Government of Kenya banned all plastic bags in 2017 with the penalty for violation being 4 years in prison! The problem of plastic waste is a global one that affects all living things. But solutions to this problem exist at all scales, from the individual who reduces their use of single-use plastics, to multi-national corporations who innovate alternative materials and processes. Master Recyclers can play an integral role in helping convey information and solutions to their communities. NAU Researchers leading the PLACE4FEWS Project are seeking citizen volunteers who would like to contribute to cutting-edge research in food, energy and water systems, community sustainability and emergency management of supplies. The project is a partnership between the Center for Science Teaching and Learning and the School of Informatics, Computing, and Cyber Systems (SICCS) as a supplement to the FEWSION project, led by SICCS professor Benjamin Ruddell. The National Science Foundation provided NAU with a $463,000 grant to recruit citizen scientists to actively map and study local community food, energy, and water systems (FEWS) for the Flagstaff area. PLACE4FEWS is designed to engage citizens in learning about, mapping, and engaging others in understanding the source-to-consumer pipeline of Food, Energy, and Water. This pipeline is critical—more critical than most people realize until it’s disrupted by natural disasters, winter weather or scarcity. Knowing where important resources like food, water and energy come from and how they get here will help plan for those disruptions. In 2018, a first cohort of citizen volunteers and NAU students provided critical insight into the content and data collection methods while initiating conversations and contacts with representatives of the food, energy, and water sectors of the Flagstaff area. This led to the refinement of a process titled FEWSION for Community Resilience (F4R). No special skills are required. Flagstaff area residents who work in the food, energy and water system fields are welcome to apply (i.e. grocers, utility operators, drivers, emergency responders), as are elected and unelected public officials and staff, college students, and citizens with an interest in food, energy, water, and improving community resilience. Participants will spend about 80 hours over the course of the next 6 months in training workshops and follow-up meetings, collecting data, providing project feedback, and interviewing and engaging community members. To apply, or for questions about volunteering with PLACE4FEWS, please contact Sean Ryan at Sean.Ryan@nau.edu / (928) 523-0990. The deadline to apply is January 30th. A welcome and orientation session will be held on the evening of January 30th. Recycle your plastics by shape! Remember to forget the numbers and recycle your plastics by shape! In Flagstaff, the only plastics you can recycle are bottles jugs and jars. As always, you can find out a complete list of what is recyclable at www.recyclebycity.com/flagstaff. As you are all aware, plastics recycling has changed dramatically in Flagstaff due to China’s National Sword policy banning imports of our heavily contaminated recyclable materials. As a result, only plastic bottles, jugs, and jars are accepted at the Flagstaff Materials Recovery Facility (MRF). Unfortunately, many residents are not aware of these changes and continue to put non-recyclable plastics in their carts. 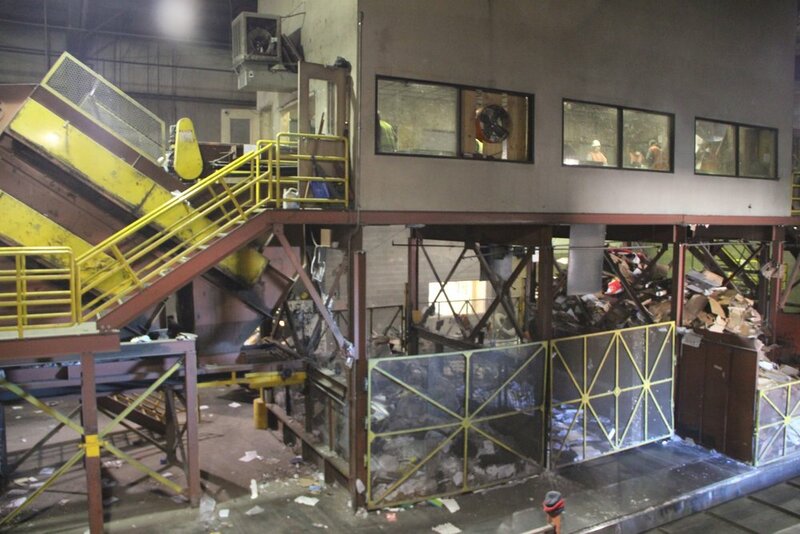 This practice contaminates the recycling stream and it’s necessary for the MRF staff to try and screen them out. While they do their best at that task, the large volume means that some always slip through the cracks and end up in the baler. The effects of that combination are a more expensive and resource-intensive trip to the landfill for the ones that get screened, and contaminated recycling bales that may get rejected so the whole load goes to the landfill. We’ve created a new tag with the updated information and need your help getting them out to the public. We’re planning a cart tagging project to get these directly into the hands of Flagstaff residents. Solid Waste Collections staff have determined that the average weekly set-out rate for residential recycling carts is only around 60%, while the trash set-out rate is over 90%. Based on that fact, we intend to attach these new tags on garbage carts in select areas to get the word out. Please check the volunteer calendar if you’d like to help with this important effort. We’re also in the process of designing and implementing a City-wide cart inspection and tagging protocol. City of Flagstaff GIS staff are developing a mobile app that will allow Collections Drivers, Code Inspectors, Sustainability Staff, and Master Recyclers to track addresses as they are inspected and tagged. This will be long-term project that we are hoping to begin early next year. Holiday season is in full swing and Albert has been hard at work getting the word out on how to properly dispose of fresh-cut Christmas Trees. He was recently spotted at Allen’s Tree Sales on Butler Ave. handing out Treecycle ornaments and informing people of the curbside pick-up and community drop-off options for Treecycling. The ornaments are being distributed with fresh-cut trees sold at Allen’s Tree Sales, Warner’s Nursery, Flagstaff Farmers Market, and Home Depot. Recycle By City also has information about the dates for curbside pick-up and maps for the drop-off locations. Please help spread the word! On November 27th, City Council will consider adopting a new solid waste rate structure that will increase the amount that residents, businesses, property managers, and waste haulers pay for solid waste disposal and recycling services. The rates for Solid Waste services have not been adjusted in over 10 years and a number of projects, goals, and initiatives make it necessary to raise rates. First off, the Solid Waste Section is required to maintain a minimum fund balance of 10% of revenues generated. A number of federally mandated capital projects at the Cinder Lake Landfill and improvements to the collection fleet put the fund at risk of meeting this minimum fund balance. What does the rate proposal look like? Other Solid Waste fees, including commercial collection and landfill tipping fees, will see a one-time 3% increase. How will increased revenues be spent? The rate increase will allow the Solid Waste Section to implement key initiatives outlined in the Rethink Waste Plan, including a volumetric pricing program, otherwise known as pay-as-you-throw. This program would establish smaller trash cart size options for single-family residents and the smaller the cart you choose, the less you pay. This would create a monetary incentive for residents to reduce their waste and recycle more. Over 9,000 other communities across the country have implemented this type of rate structure, typically resulting in a doubling in the amount of recyclables collected. At the moment, there is no dedicated funding for recycling outreach incorporated into the existing Solid Waste rate structure. As a result, the City spends about $0.16 per resident on recycling outreach. This compares to recycling leaders, such as Portland, San Francisco, and Austin, that spend well over $1.00 per resident. This rate proposal would allow Flagstaff to increase this amount to $0.80 per resident. The rate proposal would also make possible multiple capital projects at the Cinder Lake Landfill, including a landfill gas capture system, that would drastically reduce the amount of greenhouse gas emissions generated by the landfill. Staff will be hosting an open house discussing these fees at the Cinder Lake Landfill (6670 Landfill Road, Flagstaff, AZ 86004) on November 16th, at 12:30 pm. You can also attend the Council Meeting where this item will be discussed, which is taking place on November 20th at 6 pm at City Hall. If you have any questions about the rate proposal, you can find a detailed report on the proposal here or contact Dylan Lenzen at dlenzen@flagstaffaz.gov or 928-213-2158. The Draft Climate Action and Adaptation Plan is ready for your review! As Master Recyclers you might be particularly interested in the section devoted to Waste and Consumption that begins on page 77. Included in that section are the City’s goals, targets, and strategies to reduce the climate impacts of Flagstaff’s material consumptions. There are several ways to provide feedback on the Plan including 3 Open Houses at the Murdoch Community Center (203 E. Brannen Ave) from 5:30 to 7:30pm. The October 4th meeting will focus on Water and Forests, the October 8th meeting will focus on Energy, Economic Prosperity & Recreation, and the October 11th meeting will focus on Transportation & Land Use, and Waste & Consumption. For those unable to attend an Open House, comments can be submitted via a survey here: survey. Did you know that you can actually divert your yard waste through the City's normal bulky trash collection? Last month, the City's Solid Waste department began picking up yard clippings and other green waste from resident's bulky trash piles to be diverted separately from the rest of your waste. These yard trimmings are actually very valuable to the City in the form of "alternative daily cover" at the landfill. Alternative daily cover, otherwise known as ADC, refers to the material used to cover the surface of an active face of the landfill at the end of each day. Landfills are required to do so and instead of utilizing virgin material for this purpose, the Flagstaff's landfill uses alternatives, such as green waste generated in Flagstaff, that is bound for disposal at the landfill. An example of the type of material that can now be diverted through use as Alternative Daily Cover. In order to take advantage of this new diversion opportunity, your green waste needs to be separated from other waste you place in your bulky pile. As long as it is easily separated and distinguishable from the rest of your waste, Solid Waste crews will pick this material up separately and direct it for use at the landfill for alternative daily cover. While you're at it, make sure that you are using the bulky trash collection program properly. The program is only meant for your yard clippings, tree limbs, and any other household trash that doesn't fit in your normal trash bin. Despite this, Solid Waste crews often find hazardous waste, electronics, appliances and construction waste that doesn't belong. Disposing of these types of items in your bulky pile makes the whole process less efficient and more difficult for crews to divert green waste material. Lastly, make sure that you know when you're bulky waste pickup is scheduled. Bulky waste should be placed on the curb no earlier than one week before your scheduled collection week. If you're unsure of when your bulky waste is scheduled for pickup, visit www.recyclebycity.com/flagstaff to sign up for collection reminders. If you have any questions about the program, feel free to contact Dylan Lenzen at dlenzen@flagstaffaz.gov or 928-213-2158. With the recent changes to plastic recycling you may be searching for more sustainable alternatives to things like plastic cups, take-out containers, straws, coffee cups, and more that are now finding their way to the landfill. Many of have pointed to compostable or biodegradable plastics as a possible solution. But are these supposedly green alternatives, a viable solution when used here in Flagstaff? The answer to that question is a nuanced one, but ultimately at this point in time, using compostable or biodegradable plastics offers marginal benefits, if any, to their disposable alternatives. Currently there are multiple barriers preventing them from being a viable alternative to standard plastic disposables. The biggest obstacle to utilizing these compostable and biodegrable options is a lack of facilities that can compost them. Just because they are labeled compostable does not mean that they will break down in any compost pile, and certainly not your backyard pile. These products are designed to breakdown in a "controlled composting environment," which means that they need an industrial facility that reaches temperatures higher than 140 degrees. This type of facility does not exist in Northern Arizona, at least not yet. If you've ever tried to compost these types of items in your backyard compost, you might find something similar to the picture below leftover after all other material has decomposed. Some might argue that even though these products can't be composted here in Flagstaff, they are still better than standard plastic because they will break down faster if they end up in the landfill or our environment. This also is not the case. Because these products require such a specific set of circumstances to decompose, they do not break down quickly in a landfill where there is no light, oxygen or microbes to help with decomposition. They also do not solve the problem with plastic pollution in the ocean, as oceans do not provide the appropriate temperatures needed for their decomposition either. Even when looking at the upstream impacts of these compostable products, it is debatable whether they provide a significant upside over their oil-based alternatives. Compostable, or bio-plastics, are typically made from corn, which is produced in a resource intensive manner utilizing heavy machinery, fertilizers, and pesticides. All of these inputs require oil, making it difficult to argue that bio-plastics foster less dependence on petroleum than the standard oil-based plastics. As you can see there are many caveats associated with these types of products, which leaves much room for confusion on the part of consumers. Depending on how compostable products are marketed or labeled, consumers may be unsure of how to actually dispose of them. Because they often are misconstrued for standard plastics, they often end up in the recycling stream where they can contaminate loads of recyclable plastic. How to be a better consumer? While compostable and biodegradable plastics do not provide us with a very obvious solution to our plastic problem in Flagstaff (at least not right now), there are still very clear ways to reduce the amount of plastic heading to the landfill and your environmental footprint. As we have always stressed, the best thing to do is reduce and reuse. Whether it is a reusable water bottle, coffee mug, grocery bag, or even take-out container, avoid single-use products entirely by bringing your own durable alternatives. Watch for containers and bags labeled “compostable”, “biodegradable”. They will often be labeled with a #7. Keep these containers out of your recycling bin. Mixing the these bio-plastics with standard plastics together causes problems for petroleum plastics recycling. Keep them out of compost containers as well. They won't break down in your backyard compost pile and it is costly for the local composting operations that do exist to remove them. Purchase locally made foods or grow your own to avoid the need for packaging for transportation and storage. Plastics recycling in Flagstaff is changing and going forward, you will no longer be able to recycle certain types of plastics in their curbside bin. Until now, residents have been able to recycle all types of plastic, numbers 1-7, as long as they were rigid. As of June 1st, 2018, the only types of plastic that will be accepted for recycling are plastic bottles, jugs and jars. As we've mentioned before, this decision stems from changes in the national and international recycling market. The recycling market has been significantly impacted due to the Chinese government no longer accepting certain types of recyclables as imports. Until recently, China has accepted roughly half of the world’s plastic and paper recyclables. The sudden ban on much of these materials has sent international markets for recyclables into a tailspin. Norton Environmental, the company responsible for sorting and selling Flagstaff’s recyclables, has been unable to find buyers for these types of plastic. Flagstaff is not alone, as many other communities around the country have been forced to remove items from their acceptable materials list or send significant amounts of formerly recyclable materials to the landfill. While this recent decision by China to ban certain types of recyclables was sudden, it is the result of a long-term and growing problem of material consumption and contamination in the world’s recycling stream. Despite the fact that people are putting more recyclables in their recycling bins, they have also been increasingly placing more non-recyclable items into their bin. This is known as “wishful recycling,” which actually makes it more difficult and costly to process recyclable items. The end result is that more recyclable items get sent to the landfill as contamination. These changes do provide an opportunity for all of us to reflect on the purpose of recycling. Recycling reduces the demand on natural resources, lowers the energy needed to create the products we use daily, and saves valuable landfill space. While it can feel good to put all of our trash in the recycling bin, doing so negates the benefits of recycling. To realize the benefits of recycling, only the correct types of plastics can be recycled – wishful recycling must come to a halt. Going forward, sort your plastics by shape. Forget the number and chasing arrow symbol found on some plastics. Instead only recycle your plastic bottles, jugs, and jars. This includes beverage, toiletry, and soap bottles, as well as milk jugs and peanut butter jars (just make sure they are clear of any food). Any plastic packaging that does not fit these shapes is not recyclable, including items such as bags, wraps, trays, take-out containers, cups, and produce containers. Just make sure to keep recycling your cardboard, paper, and metal cans. While you’re at it, touch up on recycling basics by visiting our online recycling guide at www.recyclebycity.com/flagstaff. The best thing that we can do is to choose durable, reusable items and avoid throwing items in either your recycling or trash bin. And, don’t forget to bring your own reusable mug, or carrying a reusable water bottle or shopping bag with you on the go. Find out what you can do to prevent waste by visiting www.flagstaff.az.gov/BYO. If you have questions about these changes, feel free to reach out to Dylan at dlenzen@flagstaffaz.gov or check out our webpage explaining to to sort your plastic at www.flagstaff.az.gov/plasticrecycling. We all secretly cringe when we see items going into the trash knowing they’re going to the landfill. It seems that the number of disposable items such as single-use water bottles, coffee cups, and grocery bags is at an all-time high. With more than one million disposable coffee cups going to the landfill annually and billions of plastic and paper grocery bags being used every year, there is reasonable cause for concern. Whether the appropriate items are recycled or not, the rate of consumption of single-use items is something that impacts us all. Single-use items impact us in many ways. They sit in the landfill creating harmful emissions. Many of these items are lined with polyethylene (a possible health hazard), which often impacts lower-income residents in the community first. Beyond this, the production impacts of these disposable items are tremendous. The amount of resources and emissions associated with the production and distribution of one plastic water bottle or plastic bag alone is significant. We also must not forget the photos or videos of wildlife we have all seen being impacted by single-use waste. Needless to say, the impact list goes on and the pile of waste keeps building. More and more Flagstaff residents are bringing their own reusable mugs, water bottles and shopping bags when they go, but we need more to take action. To inspire more residents to bring their own, we are kicking off a B.Y.O. (Bring Your Own) campaign. What is the B.Y.O. campaign? The B.Y.O. campaign is our way of tackling single-use waste in the Flagstaff community. We hope to encourage more Flagstaff residents and visitors to take part in B.Y.O. behavior every day. When will the campaign begin? The campaign is kicking off this month. Over the next couple months, we will be tabling, posting to social media, and spreading the word at events like Earth Day, as well as at grocery stores and coffee shops around town. Do residents in our community not care? Is the action of bringing your own too difficult? To get an idea of what motivates community members and to see why some may not participate, we surveyed the community. After receiving over 55 responses in the community, we found that the greatest barrier to taking part in B.Y.O. behavior is that they simply forget or find it inconvenient to bring these items. One surprising trend we saw was that in the Flagstaff community, most people either use these items regularly (76% to 100% of the time) or hardly at all (0% to 25% of the time). We also found that of the possible actions, people bring their reusable bags most often and bring their reusable mugs the least often. The most common motivators for those who use reusable items are monetary incentives, environmental stewardship, and how the behaviors fit their lifestyle. By marketing incentives, establishing community partners, getting the word out, and creating excitement, we hope to encourage this least active group to realize some of these benefits. First, continue to B.Y.O. yourself. Second, encourage those around you to join in. And most importantly, join our B.Y.O. campaign by volunteering to table with us around town. There are multiple volunteer opportunities listed in the Master Recycler calendar with even more on the way. We hope you can join us in spreading the simple message of bringing your own. The following is a guest post from Master Recycler, Amanda Kapp, that was originally published on Green NAU's blog. Why are trays and trash cans absent in the NAU dining halls? And what is this stunning machine pictured below? Both are indicators of how Dining Services is making leaps and bounds when it comes to sustainability. It looks innocent enough, but this powerhouse of a machine, pulps, grinds and dehydrates every bit of food waste from the NAU dining halls preparing it to become compost. How much do we waste? Meal production, from planning to cleanup, can have big impacts on the environment. Estimates put food waste in America at 30-40%. That means ordering a pizza and immediately throwing away two delicious cheesy hot slices. Painful, no? And there’s a resource-rich history behind each of those pizza slices. Energy, water, animal feed, fertilizer, pesticides, transportation – these are all parts of food production. By reducing food waste, we conserve those resources. In addition, wasted food decomposes in landfills releasing methane, a powerful heat-trapping gas that contributes to global warming. NAU Dining Services employs several sustainable practices to help reduce food waste on campus and promote sustainability. 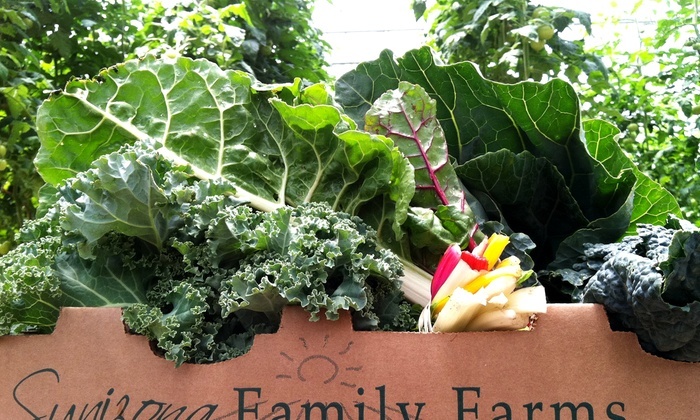 Sunizona Farms is one of many Arizona farms that NAU Dining Services sources its local produce. Where does NAU source its produce? During the past academic year, Dining Services sourced 31% of its produce from Arizona farms reducing transportation miles and fuel. Dining Services utilizes a tracking program called LeanPath which helps kitchen staff reduce food waste during food prep – for example: using vegetable trimmings for soup stock or using leftover ingredients in other recipes. In its first year, staff reduced food waste by 20% during meal prep. Through the Food Recovery Network student volunteers work with kitchen staff at the Hot Spot, Einstein’s, Starbucks and catering to package food that was not prepared but not served during the lunch hour. They transport trays to local food kitchens. During the past academic year, almost 9500 lbs. of food were donated to local food kitchens who in turn served it to Flagstaff’s most needy. Both campus dining halls embrace trayless dining. This allows students to eat their fill but avoids the tendency to fill a tray with more food than can be consumed resulting in food waste. A compost pile ‘seasons’ on south campus before being ready to be used in local landscaping. If you have eaten at either dining hall recently, you may have noticed there are no trashcans. This is because every food scrap that is not consumed is pulped, ground, dehydrated and turned into compost thanks to the two recently installed SOMAT machines. After resting for a few months on south campus, this nutrient-dense compost is ready for use both in campus landscaping and at local elementary schools. With the second SOMAT machine installed, NAU hopes to divert 200,000 lbs. of food waste from the landfill over next year and turn it into sweet, sweet compost. A big round of applause to NAU Dining Services for their work towards making NAU sustainable. Check out Campus Dining’s website to learn about other programs they offer that contribute to both healthy people and a healthy planet. Hazardous waste disposal is changing. How can you dispose of your waste properly? The downtown Flagstaff Library will no longer be accepting batteries, CDs, MP3 players, and cell phones. This decision was a result of safety concerns, as well as the fact that the personnel resources needed to service the bin competed with more effective collection events like Drop-off Day. Despite the elimination of this drop-off bin, the proper disposal of hazardous waste is still as convenient as ever. The City's Drop-off Day collection events take place every April and October, where residents can safely dispose of batteries, cell phones, CDs, latex paint, CFL light bulbs, sensitive documents, and all types of electronic waste. Flagstaff residents can also dispose of hazardous waste at the Hazardous Products Center (HPC), located at the Cinder Lake Landfill. The HPC is open 8 am to 3 pm, Monday through Saturday, where all types of household hazardous waste are accepted. For information on what items the HPC accepts, please visit www.flagstaff.az.gov/hpc. The most popular item disposed of at the library was household batteries. While it is best to recycle household batteries by taking them to a collection event or the HPC, alkaline batteries are no longer manufactured with mercury and can actually be disposed of in your household trash. That is not the case with nickel cadmium, mercury-oxide, and silver-oxide button batteries, which still contain toxic heavy metals that pollute air and water. The best option when considering batteries may be to switch to the rechargeable variety, which can be recharged up to 1,000 times, saving resources and reducing the number of single-use batteries ending up in the landfill. Many commercial businesses located in town accept rechargeable batteries for recycling, as well as other forms of electronic waste. To find lists and maps of participating businesses and drop-off locations, visit Flagstaff’s recycling guide at www.recyclebycity.com/flagstaff/. If you have any questions about these changes and how you can properly dispose of your waste, please contact Dylan Lenzen at 928-213-2158 or dlenzen@flagstaffaz.gov. Earlier this year, the Flagstaff City Council set a goal to take meaningful climate action. In response, the City is asking community members, local businesses, and partner institutions to help create Flagstaff's first Climate Action and Adaptation Plan. The Climate Plan will help the Flagstaff community to identify priorities and funding mechanisms for both mitigation and adaptation action. Mitigation means reducing our contribution to climate change by reducing Flagstaff’s greenhouse gas emissions and includes actions, such as installing solar panels to increase Flagstaff’s renewable energy sources or helping homeowners install energy efficient appliances that reduce our community energy demand. Climate adaptation means preparing for changing climate conditions by improving a community's preparedness, as well as reducing a community's vulnerability to extreme events. Examples include improving natural disaster response measures and helping individuals with asthma prepare for poor air quality days caused by wildfires. Flagstaff’s plan is called a Climate Action and Adaptation Plan to highlight our focus on both preparedness and reducing greenhouse gas emissions. What does this have to do with waste? 42% of U.S. greenhouse gas emissions result from the provision of goods and food produced within the United States (EPA). The creation, distribution, consumption and disposal of goods and food we rely on daily all requires energy, but we have opportunities to reduce our impact in every state of the life cycle. Learn more from the EPA here. 13% of greenhouse gas emissions are from the provision of food – which we waste up to 40% of! 1% to 5% of greenhouse gas emissions come from waste management. Check out Flagstaff’s greenhouse gas emissions tracking and how the landfill contributes here. The Climate Plan presents an excellent opportunity to solve waste challenges. Since consumption and waste contribute so significantly to greenhouse gas emissions, improvements in recycling and programs that reduce waste should be included as viable mitigation actions in the Flagstaff Climate Plan. The plan helps build a more resilient, responsive, and sustainable Flagstaff for its residents, businesses, and visitors. The City has limited resources and many competing demands. This is your opportunity to tell us your priorities and concerns when it comes to sustainable practices and policies related to climate change. This plan will lead directly to projects and money spent on the ground. By participating, you have an influence on public spending and project implementation. City staff and our partners are working to analyze climate change impacts in Northern Arizona and the potential risks to our community. We are also planning public outreach and events. A Steering Committee of community members has been formed to guide the planning process. In late January, we will host our first open house to hear from the Flagstaff community. We want to know what you'd like to see in this plan, and will use this input to create a plan that fits Flagstaff's needs and priorities. We will also hold additional events this winter and to learn more about the community's priorities and concerns related to climate action. We’ll share our first draft with the community in July. Check out the full planning timeline on the Climate Plan page. Sign up for the Climate Plan newsletter: we’ll send you one monthly update, and notifications about public events. Sign up here. Get the word out: Tell your friends, neighbors, co-workers, or those you volunteer with about the upcoming planning process. Feel free to forward this email! Visit our Climate Plan webpage to get details on the Plan timeline and how to get involved. Check out the Climate Impacts page for information on how climate change will impact Northern Arizona – and how the climate is already changing. If you’d like to chat about the climate plan, have ideas about potential climate actions, or would like to get involved, please feel free to contact Jenny Niemann, the Sustainability Section’s Climate and Energy Specialist, at JNiemann@flagstaffaz.gov or 928-213-2150. Thank you, and we hope to work with you through this planning process. On the October 17th, Flagstaff's City Council adopted the Rethink Waste Plan, which establishes ambitious goals and a near term plan to guide the City's efforts in reducing the impact of its waste and material consumption. Most importantly, this plan outlines the new approach for managing Flagstaff's waste and material consumption, known as sustainable materials management. Unlike our past approach that sought to minimize the impact of waste by diverting as much as possible, materials management takes a life-cycle approach to encourage decision making that reduces the impacts that occur during the extraction, processing, transportation, and use or materials, which are often 10 to 100 times greater than the impacts of recycling or landfilling them. Materials management attempts to reduce impact across the life-cycle of materials, whereas our past approach only considered the "end-of-life" stage of materials. Achieving "Zero Waste" by 2050 - This means we'll have to divert 90% of the waste generated within the city from the landfill by recycling, reusing, composting, diverting it through some other method. Reduce overall waste generation - The most effective way to reduce the impacts of our waste is to prevent it in the first place and this metric will help evaluate such efforts. Reduce the greenhouse gas emissions associated with Flagstaff's material consumption - Did you know that 42% of U.S. emissions are a result of the provision of materials? We hope to reduce those emissions by empowering residents to make more thoughtful consumption choices. Increase participation - We want everyone in Flagstaff to have access to and participate in the services the community offers. Whether that is shopping at a thrift store, attending a Fix-it Clinic, or disposing of your hazardous waste at a Drop-off Day, we want you to participate! To help us reach these goals, the Rethink Waste Plan outlines a phased plan of action for getting us there. The plan mostly focuses on this first phase, during which we hope to set a foundation for future success. We hope to do this better utilizing our existing recycling infrastructure, filling in gaps in data and knowledge or the waste system in Flagstaff, and engaging residents on this new materials management vision. Building off the momentum of Phase 1, we plan to commission the drafting of a strategic plan with specific policy and program prescriptions to help the City get all to the goals outlined above. This phase will focus on implementing the policies and programs outlined in the strategic plan that is produced as part of Phase 2. We look forward to working with you all to carry out this plan and achieve the City's goals. If you would like to learn more about the plan and see exactly what we hope to accomplish over the next few years, we encourage you to check out the full plan. If you have any question, contact Dylan Lenzen at 928-213-2158 or dlenzen@flagstaffaz.gov. The City of Flagstaff is launching a Waste to Profit program, designed to turn troublesome waste streams to profit through a partnership with the City’s Community Investment and the Sustainability Sections. The program will provide up to $8,000 in incentives to convert an idea and a waste stream into a product or service. The first step in this process is to identify existing waste streams. To do so, the City is asking businesses and organizations to self-identify the troublesome parts of their waste stream that are not already being diverted. Examples might include vinyl signs, spent grain, non-recyclable plastics, wooden pallets or any other by-product you are producing in large quantities. Once the City has a list of divertible materials, it will issue a “Call for Innovators” inviting entrepreneurs and businesses to submit proposals to convert the materials into a product or service. The most interesting idea will receive $4,000 in initial seed funding to help turn it into a product or service, as well as $4,000 upon the success of the product or service. For businesses looking to divert troublesome parts of their waste stream, please contact Dylan Lenzen (dlenzen@flagstaffaz.gov or 928-213-2158). Interested innovators should look for a “Call for Innovators” that will be released in early November at www.flagstaff.az.gov/wastetoprofit. Ever wonder if something can go in your recycling bin? Check out this video made by one of our wonderful Master Recyclers, Amanda Kapp, and learn about a new website available to help you better understand what you can and can't recycle.